I always feel most proud of Philanthropy Northwest when we have created the space for our members and partners to learn together and from each other. On that front, it's been a banner season, and I want to say thank you to each of the emerging and established leaders who have connected with and through us in recent weeks. You have elevated the conversation about meaningful, joyful and effective philanthropy. Lobbying Lawmakers: Our delegation for 2016 Foundations on the Hill, a two-day series of meetings with elected officials and policymakers in Washington, D.C., brought together leaders from the Arctic Slope Community Foundation, Casey Family Programs, M.J. Murdock Charitable Trust, Northwest Health Foundation, Rasmuson Foundation and Dennis & Phyllis Washington Foundation. Connecting Arts Funders: Through our 2016 Virtual Roundtable series, grantmakers from The Boeing Company, Nesholm Family Foundation, Native Arts and Cultures Foundation and Rasmuson Foundation shared insights on strategies, challenges and opportunities for supporting arts and culture in our communities. Convening Rural Funders: We partnered with the Nebraska Community Foundation and Telluride Community Foundation to convene three dozen rural funders from around the country. The Northwest was proudly represented, including leaders from the Arctic Slope Community Foundation, Ford Family Foundation, Montana Community Foundation, Northwest Area Foundation and Whatcom Community Foundation. We look forward to their insights in our next Virtual Roundtable blog post. Learning History: We hosted a discussion, in partnership with M.J. Murdock Charitable Trust, featuring Karl Zinsmeister, author of The Almanac of Philanthropy and vice president of publications at Philanthropy Roundtable. Aside from the content, which profiled a range of American philanthropists from the 19th and 20th centuries, it was fun to have the Seattle event broadcast live to an audience at Murdock's Vancouver, Washington offices. Developing Leaders: Our nine Momentum Fellows came together from their host foundations in Anchorage, Portland and Seattle for two days of professional development and conversations about diversity, equity and inclusion in philanthropy, including meetings with Luz Vega-Marquis of Marguerite Casey Foundation, Kelly Brown of D5 Coalition, Alice Park of United Way of King County and June Wilson of Quixote Foundation. Expanding Our Network: We've warmly welcomed eight new Philanthropy Northwest members from Montana, Oregon, Washington and Wyoming, while publicly recognizing more than 180 members and sustaining partners advancing philanthropy to build vibrant, equitable and inclusive communities. If we weren't constrained by word counts and attention spans, I could — and would — keep going! This is a wonderful community and I am inspired by you every day. We look forward to continuing these conversations throughout the year, including at our corporate social responsibility workshop next month and during our annual conference and 40th anniversary celebration in September. Thank you. 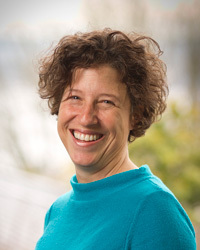 Audrey Haberman is interim CEO of Philanthropy Northwest and managing partner of The Giving Practice, our consulting team. She can be reached at ahaberman@philanthropynw.org.